But Mariam continues to hope. She loves and hero-worships her father, yearns to be part of his legitimate family, dreams about siblings she’s only heard of, and one day an act of over-enthusiastic, childlike indiscretion leads to the collapse of her world. Orphaned and abandoned, she is hurriedly married off to Rasheed, a middle-aged businessman, and sent to live in Kabul where, as the years pass, her dreams and ambitions fade away. Khaled Hosseini’s A Thousand Splendid Suns is a sensitively told if slightly uneven story about the crushing of the strong-willed Mariam’s spirit and the opportunity she gets, decades later, to validate her life by helping another innocent – a young girl named Laila, Rasheed’s second wife. We are already familiar with Laila’s past, for Hosseini has introduced her to us in the book’s second section (where he somewhat clumsily cuts us off from Mariam). The converging stories of these two women are told against the backdrop of an Afghanistan that is lurching from one era of instability to another. The narrative moves between 1974 (the year of Mariam’s wedding) and 2003, a period that includes the military rule of President Daoud Khan, the long years of Soviet occupation, the internecine fighting that turn swathes of the country into a war zone and its civilians into target practice for rocket bombers, and the emergence of the Taliban in the mid-1990s. Hosseini’s description of life in Kabul over these strife-filled years is as absorbing as it was in his first novel The Kite Runner, which became a huge international success. Some of the flaws of that book are on view here also. The Kite Runner was a near-perfect example of the cosily satisfying, middlebrow work of fiction with appeal for casual readers who wouldn’t ordinarily plough through books about “heavy topics”. The first Afghan novel to be published originally in English, it opened a window to a period and setting most of us knew very little about, and did this in accessible language, and through a page-turner of a plot. However, part of its accessibility to a wide readership came from the fact that it was occasionally manipulative, carefully underlining key sentences for the reader; some of Hosseini’s attempts to extract emotion from the text were embarrassingly transparent. Some of this persists in A Thousand Splendid Suns. The image of an aged Jalil Khan looking up at Mariam’s window, hoping for a glimpse of the daughter he cast away years ago, would be poignant enough on its own, but Hosseini must elbow-nudge the reader thus: “He’d stood there for hours, waiting for her, now and then calling her name, just as she had once called his name outside his house…their eyes had met briefly through a part in the curtains, as they had met many years earlier through a part in another pair of curtains.” Also, Rasheed is an underdeveloped character (though perhaps that’s the idea) and his skirmishes with his wives seem farcical and over the top; some passages read like the script for an exploitation film about two women and their chauvinistic male tormentor. There are other nice vignettes. For instance, when the free-spirited Mariam and Laila are each coerced into wearing a burqa for the first time (many years apart), they are surprised at how secure they feel: given their recent experiences, it’s comforting that people can no longer see their faces, look into their eyes, scrutinize and judge them. I also liked the way Hosseini uses the Pinocchio tale to bookend his novel. The story of the puppet who wants to be a “real boy” has parallels with Mariam and Laila (and other women in this society) being denied human rights and control over their own lives, but it also finds a small echo elsewhere – in Rasheed’s desperate, all-consuming need for a son to replace the one he lost a long time ago, and how this only leads to tragedy. It’s easy to understand why Hosseini has such a wide readership around the world. In stories like the ones he tells in The Kite Runner and A Thousand Splendid Suns, form usually takes second place to content: even if the writing is patchy or overwrought, most readers are swept along by the sheer emotional sweep of a narrative about people living in constant fear for their lives; of a setting where you step out of your house knowing you might be blown to pieces any moment, and where women have few rights even during the relatively good times. However, form and content are better balanced in this new novel, which indicates that Hosseini has grown as a writer, learnt something about restraint and about letting a story tell itself. P.S. Based on conversations with various people, I find it interesting what contrary feelings The Kite Runner evokes among readers. I imagine that a debate on the merits and demerits of this book, conducted between an enthusiast who was moved to tears and a critic who thought it shallow and contrived, would lead absolutely nowhere since the two people concerned would be occupying entirely different planes on the reading experience. The first might accuse the second of being pedantic, “too critical”, or perhaps even insensitive to human tragedies in Afghanistan; the second would probably have to resort to snobbery and suggest that the first expand the scope of his reading in order to discover how an author can convey genuine emotion. As usual, I’m on the fence. My gut reaction was an uneasiness about parts of the book ringing false, and this is certainly problematic when serious topics are being dealt with (I’ve felt similarly about films like Matrubhoomi and Provoked). But I didn’t think it was at all bad for a first-time novelist trying to tell a very circumscribed story to a global readership. And of course there are the usual points about writing that can hold the attention of the casual reader, perhaps serve as a stepping stone for him to move to better things (or not, for that matter). Jai, you are right on about Kite Runner. Perhaps it is one of those rare books that you can enjoy and critique as being unnecessarily manipulative at the same time. Though I have not read the Kite Runner , I can understand that many new world writers have the tendency to go overboard with emotions. I am reminded of a book "princess" by Jean Sasson, a biography about a Saudi Arabian princess. The book depicted life behind the veil, literally in Saudi Arabia and although the writing was puerile at many times it was certainly an eye opener.Few people have disputed the depiction of women as shown in the book and the two books which followed it. On the whole the book did not have much by flair but worked as truthful "documentary fiction", if that is the right word. I think most important in many such books is the ability of the reader to grasp apathy and lives of different human beings , while eliminating the literary merit for the time being. I think you are right in this justification. Would certainly pick up the "Kite runner". Shwet: good point. When it comes to books about life in oppressed societies, there often is a conflict between being emotionally restrained/non-melodramatic on the one hand and being an eye-opener (for readers who know little or nothing about the setting) that can shock the inexperienced reader into a response. While I agree with many critics who found The Kite Runner contrived in places, a question to be asked is: what about the readers (and going by the book's popularity, there are millions such) who simply reacted at an emotional level to the events and people, and were genuinely moved and shaken by what they read? Can you dissociate their response from the book's lack of literary merit? Aspi: true, but I'm not sure such books are all that rare in today's world. Jai: The word, I think, is exploitative. The point about the Kite Runner isn't just that it's tripe - a cliche ridden sop-fest that is the literary equivalent of asparatame. The point is that Hosseini is using the cheapest trick in the book - tapping into pre-existing sentiment to make the reader overlook his complete lack of talent. Can you imagine this man writing a decent novel that didn't involve characters from some third world country living in appalling conditions? I can't. 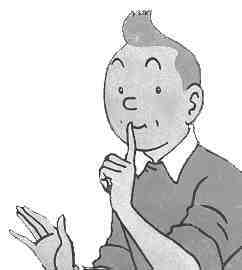 (I notice, incidentally, that he seems to have done it again. I haven't read this new novel, and nothing could convince me to, but I think we can safely predict that this is only the second in a long line of sentimental 'bestsellers' that satisfy the general public's desire for kitsch wrapped in the oh so attractive tinsel of social conscience). Anyone who needs that to sell his books is not a writer. And it's not like The Kite Runner is a particularly realistic or accurate account of life under the Taliban. The story isn't just trite it's also ludicrous. The whole thing was so nauseatingly bad it destroyed (temporarily) any sympathy I might have had for the Afghan people. And spare me the 'first-novel' pleading. Plenty of people write first novels that rise beyond the competent, don't fall wretchedly beneath it. Why read Hosseini when you can read, say, Jon McGregor, or DY Bechard. As for people reacting at an emotional level - millions of people respond at an emotional level to Mills and Boon novels. Are you going to claim they therefore have literary merit? Actually, now that I come to think of it, The Kite Runner did have pretty much the same level of emotional and literary maturity as an M&B. Can you imagine this man writing a decent novel that didn't involve characters from some third world country living in appalling conditions? Let's say "no". So what? I think we can safely predict that this is only the second in a long line of sentimental 'bestsellers' that satisfy the general public's desire for kitsch wrapped in the oh so attractive tinsel of social conscience. Anyone who needs that to sell his books is not a writer. As you should know by now, I'm not especially interested in stern, instructive debates about whether or not a book has literary merit when tested against the accepted critical standards of Great Literature. No doubt this is partly sour grapes because I'm not really equipped to take part in these debates, being woefully under-read. But I'm not too worried by that either. I think it's more interesting to be able to examine what a writer is trying to do (with varying degrees of success and failure) and how different types of readers respond to it, than to stay firmly in Evaluatory Mode, condemn a work as not worthy of the Literary Merit canon, and to end all discussion there. Jai: How did I know you'd bring up the whole Great Literary Canon thing :-). Frankly, I'm not interested in that either - this is not about theories of what is literary, or contempt for what is popular / plebian. It's about the writer as creator - what an author contributes to "our stock of available reality", what he offers us that is new. That, for me, is where the line between what's worth reading and not reading is drawn. Plenty of people manage to be inventive and imaginative and still manage to appeal to a wide number of readers. But popularity shouldn't, in my view, be a sufficient condition to be a good writer. My definition of a writer doesn't exclude "all writing that can be appreciated by the vast majority of readers" but it also doesn't automatically include everyone who a vast majority of readers appreciate. I consider Raymond Chandler a great writer, and Terry Pratchett a very good one, but I think Dan Brown is crap. My issue with Hosseini is that he offers nothing - he takes stock characters that are practically caricatures, and puts them together in formulaic ways to produce something that is little more than a collection of cliches. There's nothing original about him. This is the Hallmark card school of writing. He's not contributing anything to my imagination or my intelligence - if anything he's insulting them. Just take the lines you quote in the first para of your post. Who says things like this? It reads like dialog from a 80's series on Doordarshan on the exploitation of the girl child. Pshaw! To illustrate, let's consider another book - Hisham Matar's In the Country of Men. Another first novel by a novelist writing about the traumatic experience of growing up in the third world. I don't consider In the Country of Men great literature - I was actually rather unimpressed by it. But I'd pick Matar over Hosseini any day because Matar gives us something that feels authentic, the real emotions of a real person, someone unique and distinct. And that's an effect Matar creates because of the infinitely greater skill and subtlety with which his book is written. In the Country of Men is an original work of fiction - not a particularly brilliant work in my view, but a valid one in a way that I think the Kite Runner is not. Everything you say about the Kite Runner in your post - how it wasn't a bad novel trying to tell a circumscribed story, etc. is exactly how I feel about In the Country of Men. Maybe you're right and what it comes down to is just that I don't understand how anyone can feel any empathy with Hosseini's characters. To me they're so transparently fake. It's like I don't understand why people find daytime soaps of the Kyunki Saas variety so engrossing. That said, I do think we need to set standards for writing that are higher than The Kite Runner. If churning out contrived and formulaic books that sell is enough to make you a 'good writer' then the word has no meaning. And if people appreciate his books then that's reason to encourage them to look beyond such hackneyed stuff and expand the horizons of their imagination, not confirm in them their uninformed prejudices. Part of my opposition to writers like Hosseini and Coelho and Brown comes from the fact that too many people read them and think that's all there is to fiction / literature. And that's a terrible, terrible shame, because they're missing out on so much. Ow, ow! I admit defeat. I'm going to be one of annoying people who agree madly with everybody: Jai, as you know, I have no problem reading low-brow stuff, and I admire your ability to find something good in every book. But I also agree with Falstaff when he says that this is terrible tripe - the kind of writing that Brown, Coelho and Hosseini do. That said, I think one fruitful way of approaching this whole question of 'literature' vs. trash - without attempting to create a canon - is to acknowledge that as a reader, you can always approach any work with a level of intelligence that the work may or may not match. So even if a piece of work is crap, with stock characters, Hallmark Card dialogue and the most barf-inducing seniments drenching every page, it is still worth studying as, at the very least, a phenomenon. Or as a representation of aspirations, of what an author thinks people want to read. In effect, you could read badly written novels for subtext, and that would still be a good enough experince. On the other hand, these days if a book doesn't absorb me, I abandon it. Depends on what kind of a mood I'm in. Guess I sat on the fence with great firmness and conviction! Just finished the book last night. Saw the post yesterday but refrained from reading it because i wanted to form my own opinion. I will agree with you on most points though. While it is difficult (and unfair to the author) to pick one book over the other, i think I will probably rate "The Kite Runner" a notch above this one. It could be primarily due to unreasonably high expectations after reading "the kite runner" or the feeling that the author was trying a little too hard to cater to the wide (western) audience in this book. He was obviously aware of the burden of expectations that he carried. I liked Kite Runner. Actually, I loved it. I loved it despite the knowledge that at some parts, I was being manipulated. I agree with most of the accusations thrown at Hosseni in this forum, but the thing is, I am a sucker for a beautifully worded line. And I found many of them in Kite Runner... enough to forgive him for the melodrama that he unleashes towards the end. "For you a thousand times over", I confess, slightly sheepishly, made me cry. Yes, take Hosseni out of a third world scenario and he might not come up with anything anyone would want to read, though I do think that he does understand relationships better than Mills & Boons. I have read just of those horrors in my entire life, and well, there's no contest there. His second book disappoints, because like you say, he nudges you feel emotion, to cry... and you resent that. Just like a Karan Johar film, where subtlety is an alien concept (though I don't think this book is like a Karan Johar film any more than I think it's an M&B). But even here, I stumbled over more than a few great lines... "and for the first time, Laila experienced the strangest feeling of telling a lie that was actually the truth..." or something to that effect. I usually, find something nice about each book I read, unless it's total crap, but I wouldn't nec recommend it. I am not overwhelmed by A thousand splendid suns... and would not recommend it. But Kite Runner? Yes, in a heartbeat. Haven't read the book but several comments here make me want to. "I am so removed from the situations and characters in your books. I am a white gay male that lives in the Midwest of the United States. Yet, I have rarely been so moved by characters in a book, both "The Kite Runner" and "A Thousand Splendid Suns". I was moved to tears, big sobbing tears, in the middle of a packed coffee shop as I finished reading "Suns". I drove home after, still crying, and cried for about an hour after arriving home." Since time in life is limited, as is life-how many commentators here will care to recommend this book? Space Bar: there's obviously a lot that can be said on this topic, but part of the point is simply that I don't agree with your (and Falstaff's) assessment of Hosseini's writing. About the other writers you mention...I haven't yet succeeded in taking Coelho to heart (despite my attempts to find something good in every book) but I enjoyed The Da Vinci Code enormously for what it was (a heck of a good page-turner) - and while I wouldn't ever want to reread it, I'm not going to deny that initial enjoyment just because it's become an undeserved publishing phenomenon or because P3Ps sing its praises. See what I mean about none of these discussions ever really adding up to anything? jai: Who said these discussions were meant to add up to anything? :-). Though, actually, I feel like we're making progress on this one. My initial understanding of your argument was that since Hosseini's books strike an emotional chord with people, this makes him a good writer - a point of view I clearly disagree with. From your last comment, however, it sounds like you're saying you think his writing has genuine merit (unlike, say, the writing of Coelho). Now there's something I'd love to hear more about - what, exactly, do you like about his writing (and please tell me it isn't faux-poetic lines like "Laila experienced the strangest feeling of telling a lie that was actually the truth" - yech!). I'm perfectly willing to be convinced that I'm doing Hosseini a disservice and that he is actually a talented and original writer, capable of quality prose, cogent storylines, or characters with depth. Just as long as we're clear that popular emotional response isn't, by itself, evidence of anything. And I'm not just being difficult, really. I'm genuinely curious to know. And ya, I'm completely aware that the previous comment is a cop-out. Chicken-wock! Was initially outraged at being referred to someone who likes faux-poetic stuff. But then, read that you're throwing in the towel. Here's mine too. For the same reasons. Fun while it lasted tho. Jai: Yes, it is a cop-out. And I'm disappointed. I expected more from you. What makes civilization civilisation is that instead of simply stating their opinions and claiming that they're entitled to have them, people are willing to discuss and defend their points of view. Which is why it's irrelevant whether you could or could not convince me, it only matters whether you're willing to try. There's probably no point to this and I should probably stop, but for the last time - this is not about whether The Kite Runner is great literature - it's obviously not. It's about whether the book has any merit whatsoever - I'm not saying it's "not a great book", I'm saying it's a crap book that no one with any respect for their intelligence or access to a decent newspaper should bother reading. What is the merit of this book? Your post acknowledges how terrible the writing was. You suggest that the book was worth reading because of the reality it portrayed. But do we have any reason to believe that the reality it portrayed was remotely authentic? Certainly the story was ludicrous - the plot was riddled with logical inconsistencies, fraught with cheap sentimentality and improbable coincidences, and engaged in the kind of melodramatic heroics one associates with bad Hindi films. Plus it was almost nauseatingly predictable. And the little that it did describe Afghanistan under the Taliban, didn't provide any fresh insights or tell me anything I didn't already know or hadn't already imagined, nothing I couldn't have got from a combination of the daily newspaper, James Clavell novels and / or Harrison Ford films. I'm not sure Hosseini even needed to visit Taliban-ruled Afghanistan to write that book, if he did at all. So how is his portrayal of Afghanistan valuable? What is unique about it and why do you think it's authentic? I'd genuinely like to know. Nor is it exactly the case that he was writing about a particularly marginal or ignored group of people. How deep a cave would you have to live in to not have come across an endless stream of articles and news stories talking about the Taliban? If he'd been writing about, say, the plight of some obscure tribe in the Pacific who no one would otherwise ever had heard of, I might be more lenient on the whole "he's bringing these things to people's attention" argument - though I'd still think it was the proper preserve of non-fiction. But could he have picked a more obvious tear-jerker of a country than Afghanistan? And I'm disappointed. I expected more from you. Dude, that's your problem, not mine, and I hope you get over the disappointment soon. Read some poetry. Lift some barbells. Write a long post. Whatever works. The "What makes civilization civilisation" bit makes me want to say something very sarcastic, but I'll refrain. (Was the spelling of the first "civilization" in the US style and the second in the Brit style deliberate, btw? Clever.) Instead, I'll point out that it feels strange to have written a blog with hundreds of long posts on books and films (with careful explanations of what I liked about them) and to then be accused of "simply stating my opinion and claiming I'm entitled to have it". Do read my earlier comment properly. And *deep breath* much as I'm disinclined to pick on another specific point and thus extend this commentfest, here's one. You ask How deep a cave would you have to live in to not have come across an endless stream of articles and news stories talking about the Taliban? I sympathize with this to an extent, since I felt much the same way when (for instance) some people I know were "deeply moved" and "inspired to think" by Aishwarya Rai's banal speech at the end of Provoked - where she essentially tells all women everywhere not to take abuse lying down and to stand up for their rights. To me, the horrifying question was: did they really need this film with this script to bring them to such an obvious conclusion? Had it never occurred to them before that domestic abuse is unacceptable? But (and this may simply be a reflection of the circles I move in, the people I know, etc) it's much easier for me to accept that many people do in fact live in a cave when it comes to exposure to articles/indepth features about life in Afghanistan. And that, regardless of your dogmatic insistence on the in-authenticity of Hosseini's writing, his books have at least opened a small window for such readers (perhaps eventually helping those of them who are interested enough to go a bit further and read more authentic writing about the country). I'm sorely tempted to comment on this obsession you have with driving your point/point of view home by swamping everyone else in words, but I won't because it'll get too personal. And we don't want that, do we - because then civilisation won't be civilisation anymore. Or something. Jai: "Instead, I'll point out that it feels strange to have written a blog with hundreds of long posts on books and films (with careful explanations of what I liked about them) and to then be accused of "simply stating my opinion and claiming I'm entitled to have it"." ah, but that's why I was disappointed - because it's so unlike you to be unwilling to engage in a discussion and just cop-out by saying things like "i don't have the energy levels" and "throwing in the towel is the more heroic option". It wasn't meant to be a larger personal comment (and I apologize if that's how it came across) just an observation specific to this post. I wouldn't be bothering to "swamp you with words" if I didn't think you were open to / capable of sensible discussion. Think of it as a kind of tough love. :-). Okay, here goes... one last post, for old time's sake. Dude, calm down. Let me show you some stuff from my first post, since you don't seem to understand when someone is partially agreeing with you AND AT THE SAME TIME has done you the disservice of having a slightly different opinion. 1)"I agree with most of the accusations thrown at Hosseni in this forum"... and that includes the fact that he DOES NOT write particularly well. I am sorry for not making that clearer, did not anticipate mad attack in open forum. Okay, now, having said ALL that...again, yes, Hosseni is NOT a great writer. He manipulates. DESPITE this knowledge, I found LOTS of things in his book, more in KR than the second, to take away. I am sorry for having a contradictory opinion. I apologise for liking lines that at some level, made an emotional connect. No outrage taken. And jai, am sorry to take up so much space in this forum. I anticipate a no-holds barred reply to this, but am done. Promise. Sej: I got all of that all along. The point is this beautiful line of yours is crap. Read it: "for the first time, Laila experienced the strangest feeling of telling a lie that was actually the truth...". What does that mean, anyway? It's the kind of thing that a clueless writer says when he wants to sound deep. I have no problem with your having a different opinion. I'm just saying your taste in lines is terrible. You're the one who is "outraged" by that. I feel like being pompous and saying: Thank you Jai, Falstaff and the rest for a most interesting discussion. How many books has Falstaff written? It's so easy to be critical, isn't it? After my experience in English Literature graduate programs, I find that while overly critical people think they are so smart, their eagerness to find fault rarely coincides with intelligence. Even an idiot can scream and scream and stomp his feet. Please spare everyone the unending torment and give other people space and respect for their opinions. Agree with Anon on the last comment. Every time I read Falstaff, I inevitably end up doing a "here-he-goes-again" eye-roll. Not because he doesn't have talent (he does) but his observations are always so predictably pretentious and brimming with self-importance. Maybe if he kept his ego in check and stopped believing that he is the ultimate authority on all things literary, his criticisms might actually hold some weight. "Why read Hosseini when you can read, say, Jon McGregor, or DY Bechard." That's exactly the kind of pompous line that annoys me. To each his own, Falstaff. Not everyone needs/wants to read or listen to classical text/music to derive enjoyment. ummm....nice discussion on The Kite Runner. I got to agree partially with Falstaff, when he says this is a trite, ludicrous piece of work. But I still don't hate it as much as he does. I enjoyed the first 100 pages, though this is again a 'set up' narrative. The second half, of course, is distasteful to the extreme, in its totally manipulated plot points. So no doubt, from the critical standpoint, I wouldn't rate this Hosseni book highly at all. But again, you know, Kite Runner is like your standard Bollywood potboiler, with too many bizarre twists and turns and heightened melodrama. It's got its market and these are inoffensive if viewed in a purely non intellectual sort of way. There's only a problem when people read its monstrous commercial success as an emphatic proof of its critical worth. And also again, as Jabberwock says, "If the book can hold attention of the casual reader, perhaps serve as a stepping stone for him to move to better things (or not, for that matter)." About "the Kite Runner". I was delighted with the first two hundred odd pages and then I found that it was pandering to the Western audience by getting into the politically correct position on Afghanistan. Somehow all that politics and social observations just didn't go with the plot and seemed to be an artificial device to distract from the main story. It wasn't woven into the story as good books do, but rather once they book moved to the USA it seemed to lose its power, and the return to Afghanistan was even more disastrous. Meanwhile I am glad I chanced upon your blog today, will check it out more thoroughly over time. 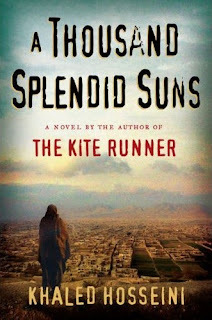 A Thousand Splendid Suns is the type of book that will make you cherish the simplest pleasures that your life contains. It makes you see how love, friendship, and hope can help you overcome even the most devastating times! Read this book and you will gain a new appreciation for the slightest comforts you have in your everyday life! The majority of this book is sad and depressing. Ironically, I do not like sad books or sad movies but I have to admit that this book was the exception. When I finished reading the book I remember shutting it and saying to myself out loud, "Wow, that was a great book!" I really enjoyed it and once again, I am already waiting for his next book.